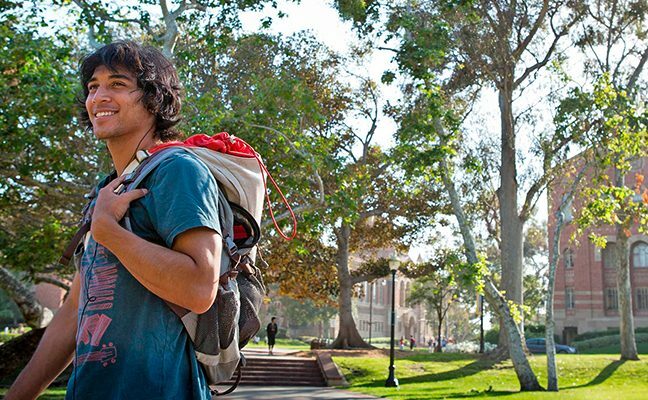 UCLA’s undergraduate program represents nearly 70% of total enrollment. These eager young scholars embarking on their higher education journeys anticipate opportunity at UCLA and beyond. For good reason. There are 125+ majors offered by The College and professional schools. And UCLA is one of the top ranked universities globally, according to U.S. News & World Report. But costs are high. Tuition increases are prevalent across the nation, and state funding is declining. The notion of student debt might prevent the best and brightest from even considering higher education, let alone accepting an offer to enroll. By investing in undergraduate scholarships, you can offset some of this cost—and help prospective Bruins achieve their goals and effect positive change. 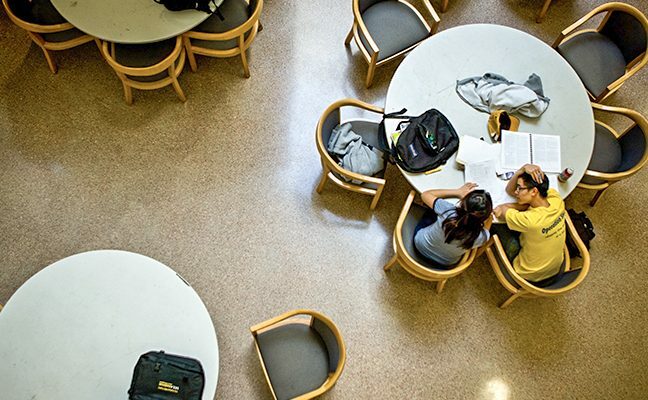 More than half of UCLA students receive some sort of financial assistance. Your gift to the Undergraduate Scholarships fund can help attract some of the most promising students to attend UCLA. Undergraduate scholarships are awarded based on merit or financial need and can help students reduce the amount of money they borrow or pay out of pocket. Undergraduate scholarships can help students spend less time working and more time focusing on their schooling. They might also help students feel financially confident to pursue their passions—setting them on a path for future success. 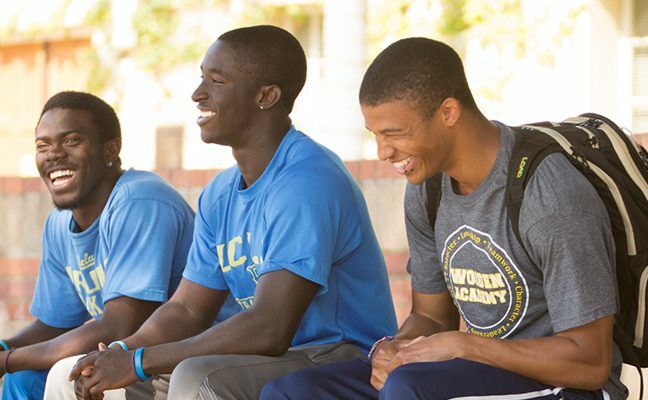 Your gift can make the difference in a student’s decision to become a Bruin. And because undergraduates make up such a large percentage of the enrollment at UCLA, your gift to the Undergraduate Scholarships fund directly benefits the bulk of the student body. There is significant need, and your gift can make a significant difference. Scholarships can diminish financial stress so students can focus on their course work. Undergraduate Scholarships enable students to pursue their passions. Your gift helps lighten the financial burden so students can enjoy their college experience. Undergraduate scholarships go toward tuition, books, housing, and meals. UCLA SUPPORTERS help undergraduates thrive at UCLA. I give to help UCLA continue to provide an excellent undergraduate educational experience. Scholarships made it possible for me to attend UCLA. I want to help the next generation. I give to UCLA because I can. I'm grateful to be able to support students. I donate because I got a great education at a very affordable price and feel lucky! All economically-challenged students should have a chance to succeed. 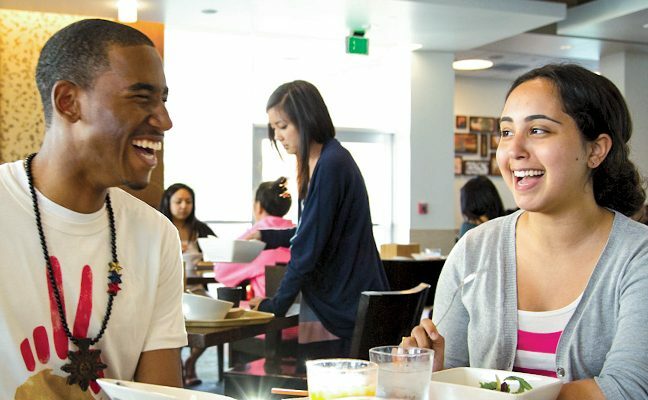 UCLA gave me a chance to improve my life, I want to help others do the same. I want to help make another Bruin's experience as positive as mine was!